The new year means a fresh start for you and your home. As always, home design trends are constantly changing, which means your home deserves a make-over. While home remodeling can sometimes be difficult, remember that you don’t have to go all out. Make sure you make the changes that seem right for you and your home. Moreover, not all trends are gone for good. So before you throw out everything in your home, check out the top home design trends for 2018. 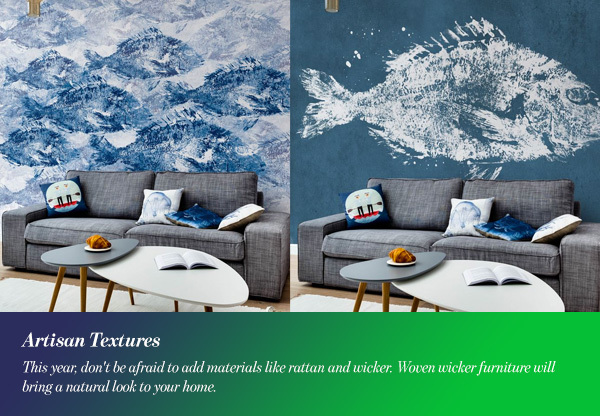 2018 is starting off with inviting more natural elements into your home. Stone, copper, concrete, and granite are great additions that will add an organic look to your home. They will also encourage a natural vibe and add serenity indoors. This trend will be found in bathrooms too where the elements will be matched with sinks in darker hues of grey, bronze or black. 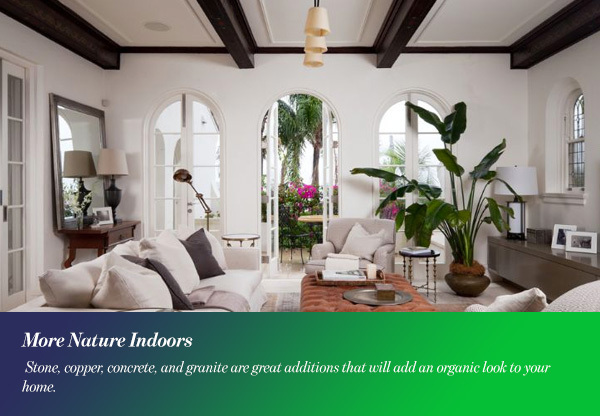 The tropical trend has carried over from last year and continues to be one of the top home design trends for 2018. 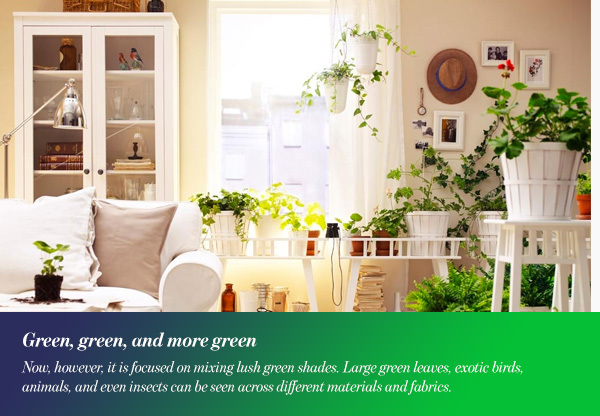 Now, however, it is focused on mixing lush green shades. Large green leaves, exotic birds, animals, and even insects can be seen across different materials and fabrics. Botanical patterns have been a favorite for quite some time and are expected to be one of the top home design trends for 2018. 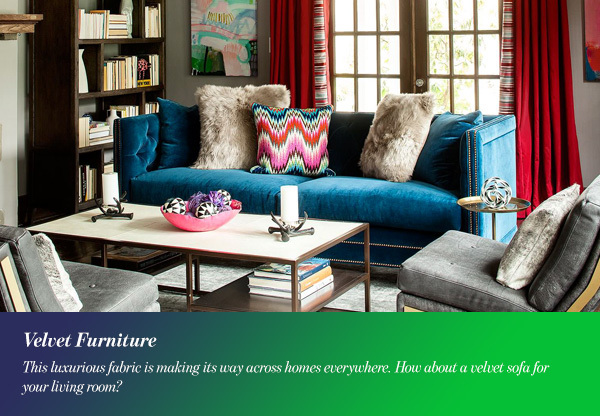 Just like before, expect to see floral patterns across different fabrics and furniture. Don’t be afraid to experiment with larger prints and bold colors. Again, this isn’t a new trend, but it looks like it’s here to stay. 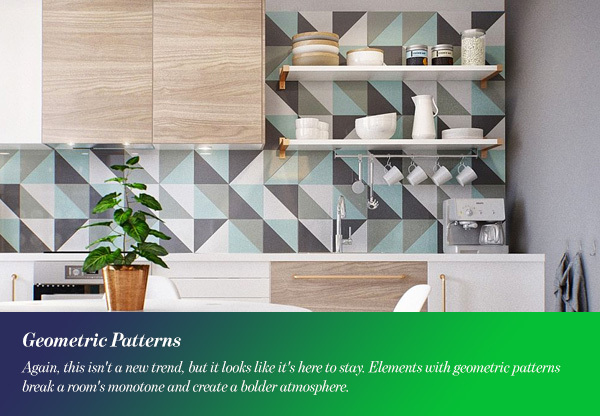 Elements with geometric patterns break a room’s monotone and create a bolder atmosphere. Furthermore, experts predict that this year’s patterns will be bolder with larger patterns. Velvet was once seen as old-fashioned, but not anymore. This luxurious fabric is making its way across homes everywhere. How about a velvet sofa for your living room? Or, if you’re worried about making that big of an investment, you can always add a few velvet cushions here and there. 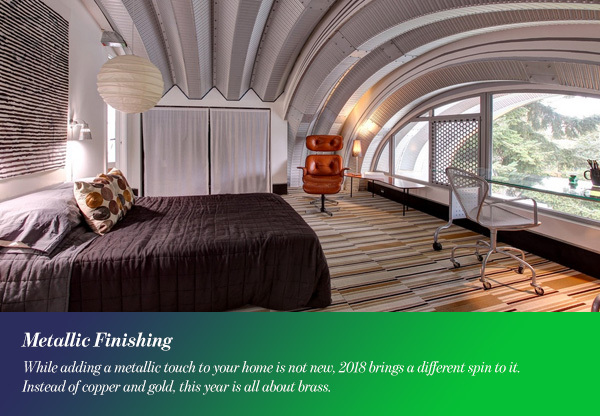 While adding a metallic touch to your home is not new, 2018 brings a different spin to it. Instead of copper and gold, this year is all about brass. This organic palette can be found in furniture, mirrors, and home accessories. It’s easier to purchase a lamp or accessory for your home and mix it with soft pink and emerald green. Furthermore, if you want to add a metallic touch to your lighting, think about pairing brass with marble. In 2018, concrete will be making its way inside homes. This year, you don’t have to limit concrete to countertops because they are also available in geometric concrete tiles. Furthermore, concrete is now being integrated into pendant lighting and furniture. The pairing of black and white is always in fashion. In 2018, you need to integrate the colors into your home. Together, black and white create balance and boldness to any space. They also allow you to play with patterns and add a few small accessories of different colors. Home design will welcome bolder colors in 2018. Red, blue, and vibrant green should make their way to your home too. 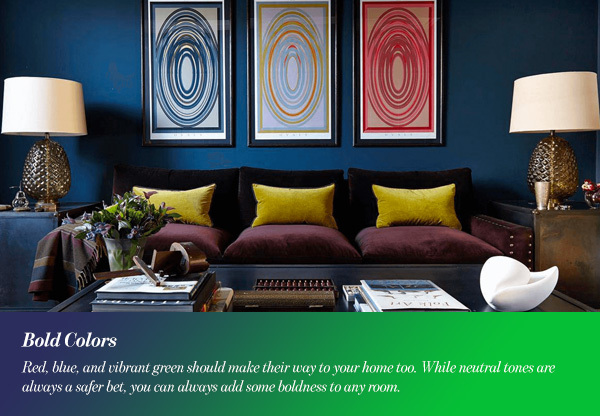 While neutral tones are always a safer bet, you can always add some boldness to any room. You don’t have to re-paint a wall or buy new furniture. Instead, look for rugs, pillows, and blankets in those colors. Mustard yellow is also a lively addition this year. 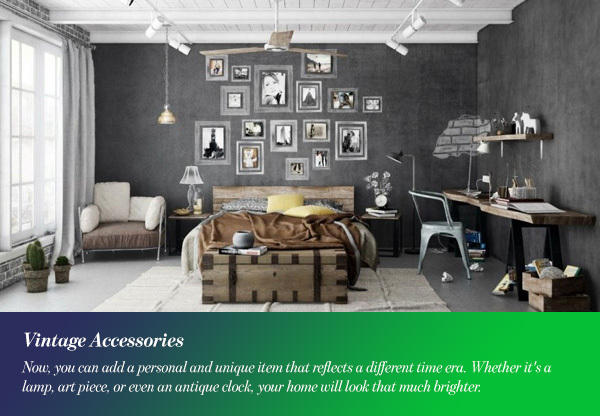 Accessorizing your home should be a fun job. Especially when you’re looking for vintage items that suit you. Now, you can add a personal and unique item that reflects a different time era. Whether it’s a lamp, art piece, or even an antique clock, your home will look that much brighter. Vintage lighting is also making a comeback this year. Expect to see lots of pendants and sconces in brass and copper finishes. In 2018, get ready to invite a rustic or industrial feel into your home. Wider planks easily add a charming look to a room. 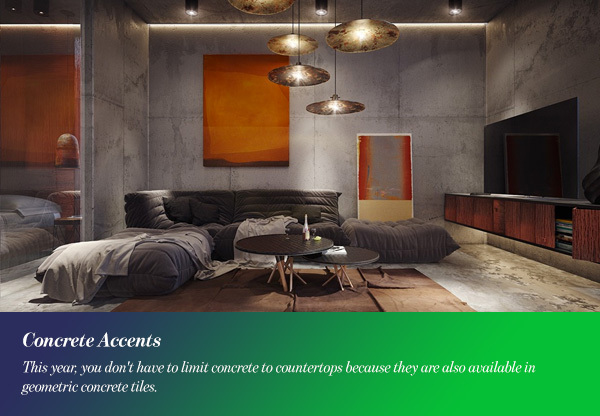 They also create a subtle visual focal point regardless of their color. 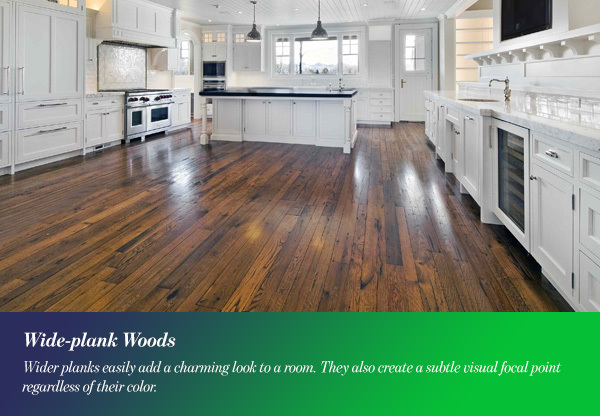 This year, 5-inch wide planks have become the new trend. All you need to do is figure out whether they fit with your home. One of the top home design trends for 2018 is darker wood tones. 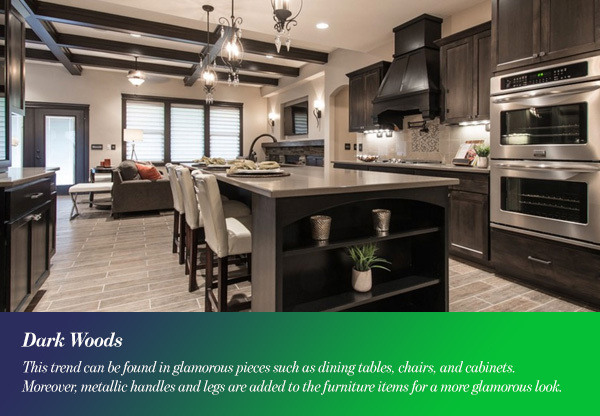 This trend can be found in glamorous pieces such as dining tables, chairs, and cabinets. Moreover, metallic handles and legs are added to the furniture items for a more glamorous look. If you want to add on that, feel free to mix the dark wood with walnut, gold, brass, black, and marble. Playing with different textures always yields fascinating results. This year, don’t be afraid to add materials like rattan and wicker. Woven wicker furniture will bring a natural look to your home. Moreover, macramé cushions will add another dimension to any setting. You can use artisan textures in almost anything as small as a pendant or lamp. There’s nothing new about wallpaper, but 2018 is all about ceiling wallpaper. 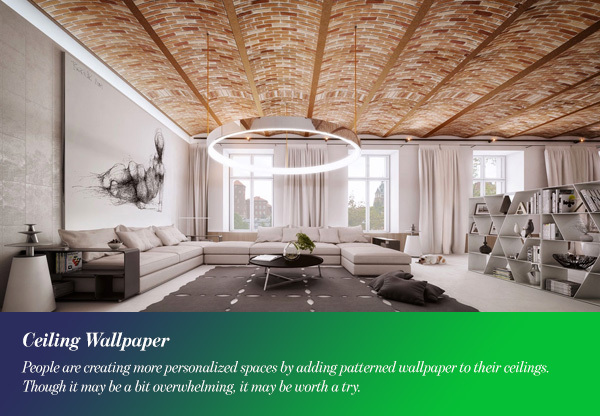 People are creating more personalized spaces by adding patterned wallpaper to their ceilings. Though it may be a bit overwhelming, it may be worth a try. 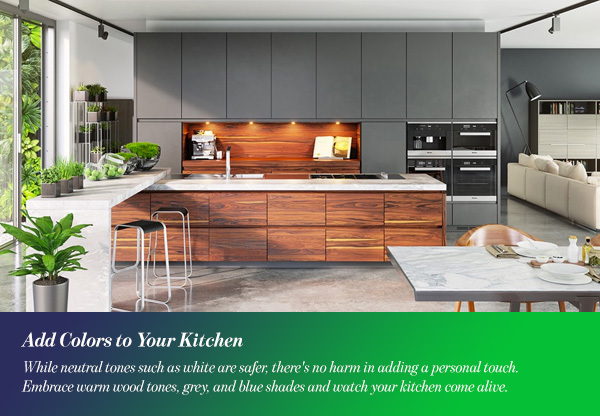 Richer colors are making their way to kitchens too. While neutral tones such as white are safer, there’s no harm in adding a personal touch. Embrace warm wood tones, grey, and blue shades and watch your kitchen come alive. 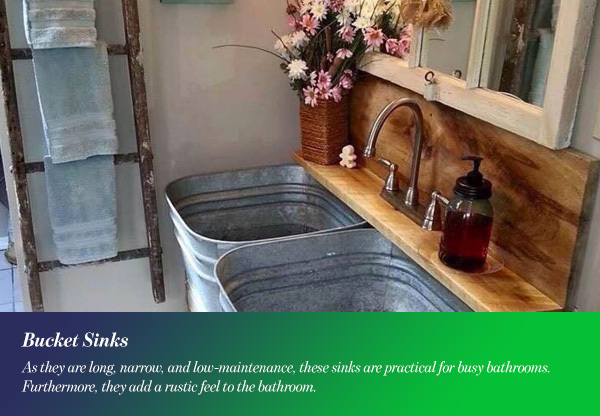 Trough or bucket sinks are expected to continue to be one of the top home design trends for 2018. As they are long, narrow, and low-maintenance, these sinks are practical for busy bathrooms. Furthermore, they add a rustic feel to the bathroom. The modern bedroom in 2018 is very minimalistic. 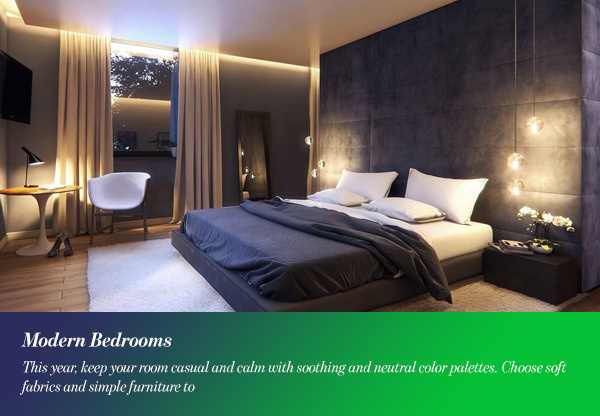 This year, keep your room casual and calm with soothing and neutral color palettes. Choose soft fabrics and simple furniture to enhance the modern look and create a soothing atmosphere.